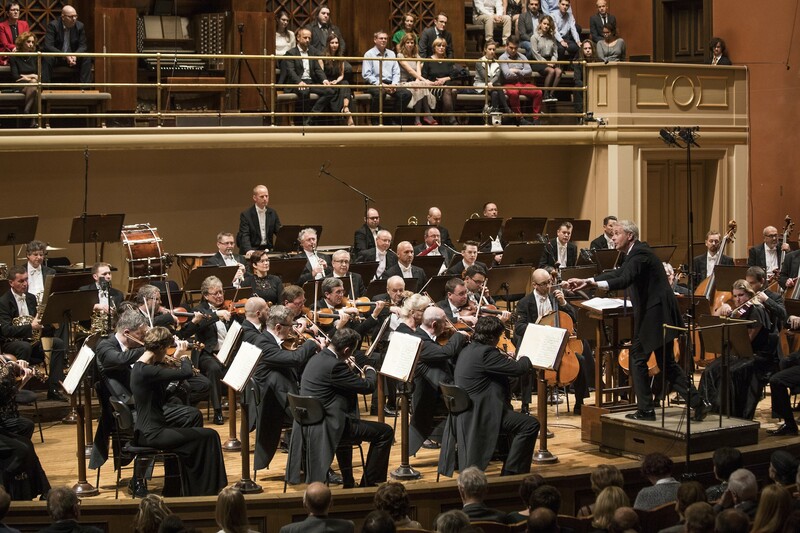 The inaugural concert of Alexander Liebreich, Chief Conductor of the Prague Radio Symphony Orchestra, will go down as an event that will be remembered an exceptionally long time. 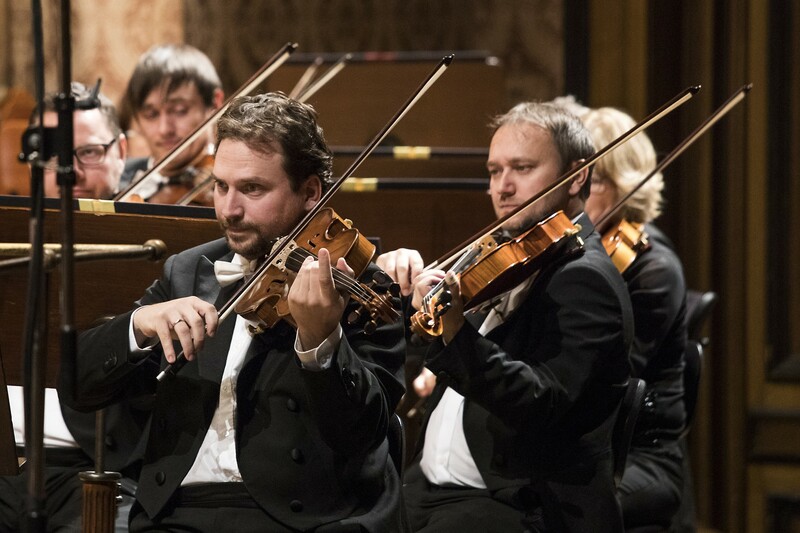 In the Rudolfinum on Monday they achieved such a degree of cogency, communicativeness, musicality and harmony that at a stroke they shook up the notional ranking of Prague orchestras. The level of perfection and the naturalness and depth of the insight into the music was evident from the first tones to the last, from the overture to Weber's opera Oberon through to Janáček's Taras Bulba. We were witnesses to a meticulous, flawless and at the same time relaxed performance, excellent interplay, soulful expression, capturing of contrasts and achieved multiformity, finding of new perspectives, elegant resolution of proportions and thorough lighting of the form and course of the compositions. Alexander Liebreich sways his knees slightly, often leaning imperatively toward the performers, always working purposefully yet gently and non-schematically with his hands and constantly urging variability. At the same time however he remains refined and pleasing to the eye. The overture to Oberon, the last opera by Carl Maria von Weber, had beautifully developed details from the initial quiet onset of the French horn, whether in the modelling of shapes or shifts in tempo. It had dancy and fabulously mysterious spots, with a lightness, elegance, and a mix of erstwhile classicism and emerging early romanticism, with a clear incline towards the latter... Already in this first number the orchestra was playing above its normal standard. Richard Strauss's Oboe Concerto from 1945 is a work of neo-classicist purity, late Romantic sentiment, and refined sound. 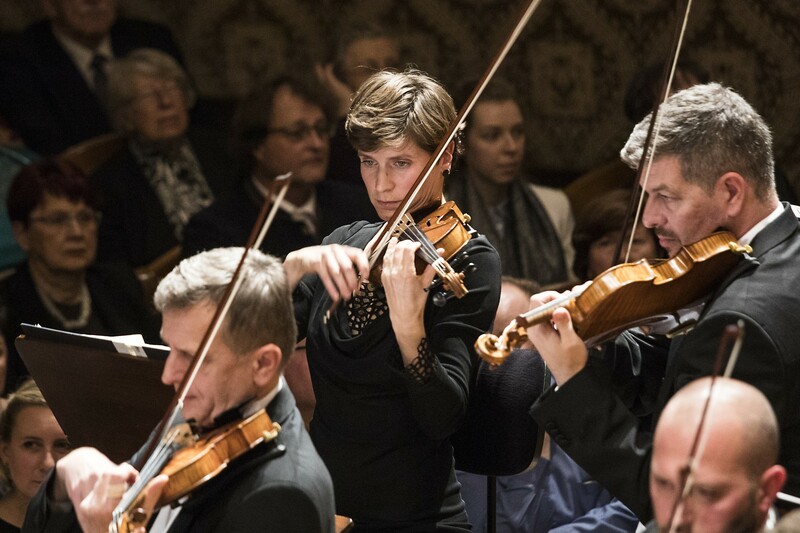 Vilém Veverka graced the evening with his art in complete and evident concert with the conductor. Together, hand-in-hand with the orchestra players, they produced over twenty minutes of unceasing musical flow, every moment a differently illuminated stream of invention, over twenty minutes of beauty. Veverka's playing was completely relaxed, seeming as if there were no physical limits to it. The solo part of the composition barely lets the oboist take a breath, with new and new lines pouring over the listeners in garlands of tones, decorated and further and further graded portions of melody and novel opalescent transformations of harmony – just as intoxicating as in Strauss's operas. The concert is played as a whole, sounding idyllic but despite this being clearly divided into three contrasting sections – a driving one, a slower touching one, and then another driving one. The places of explicit dialogue between the solo oboe and orchestral tapestry are beautiful, in particular with the clarinets or the flutes. The oboe often plays slower music and the faster orchestral interludes move the plot forward. The conductor and soloist chose ideal tempos and with countless subtle nuances made the score exceptionally interesting. It was a joy to watch the soloist, almost dancing while playing, even in the moments when he was not. 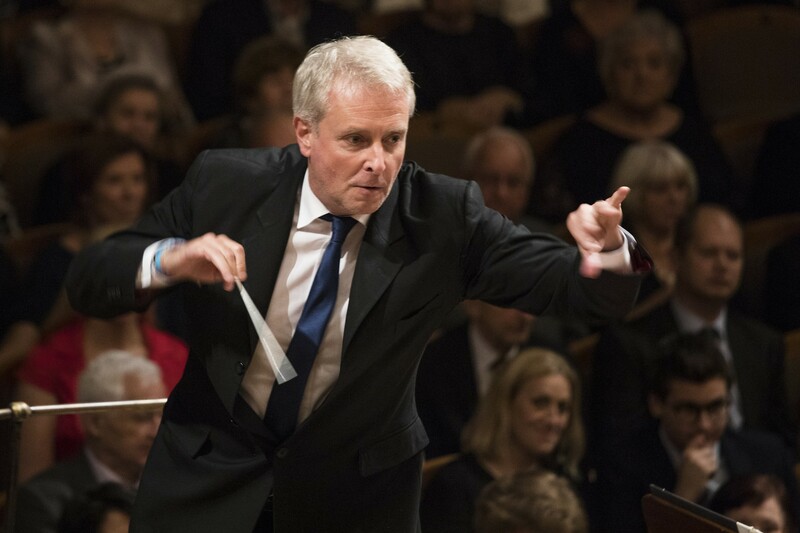 He would turn towards the orchestra, was connected to his fellow players, and inadvertently suggested conductor gestures. Vilém Veverka has enough self-confidence, purpose and the ability to be self-conscious. He puts these to work in service of exceptional art, having matured into a true personality. Yes, avant-garde authors wrote differently in the second half of the forties, but the strength of invention and authority of the figure of the already over eighty-year-old Richard Strauss brought European music a sparkling jewel. Alexander Liebreich is a high-ranking organisational and artistic figure in the Strauss Festival in Garmisch-Partenkirchen and he evidently has a truly deep musical understanding of his elegant music. 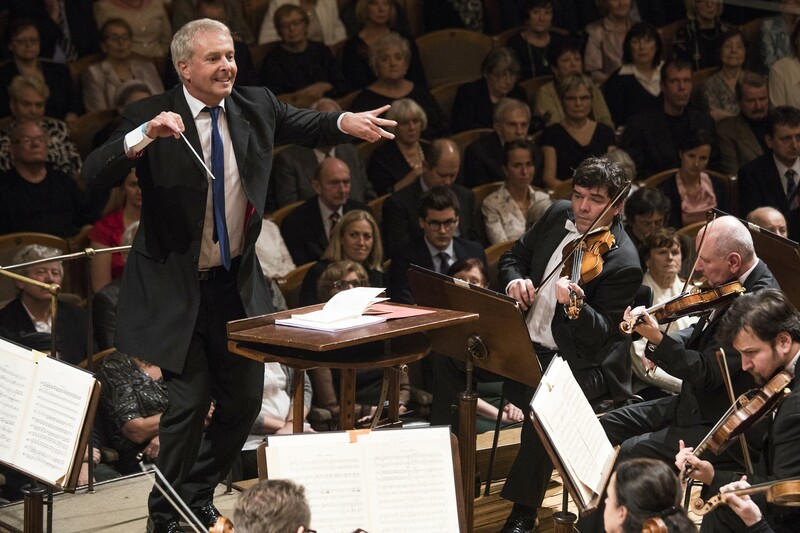 The new Chief Conductor built an ambitious and diverse programme for the inaugural evening, which must have given the orchestra a lot of work, but at the same time the opportunity to show itself in several lightings and the best light. The third item on the programme, the symphonic poem Night on Bare Mountain, completed like almost everything Mussorgsky wrote by someone else, in this case Nikolai Rimsky-Korsakov, is a high romantic portrait of the Sabbath of dark forces with its point in the liberating sound of the ringing bells in the dawn light. In the bursts of trombone and tutti orchestra, Alexander Liebreich brought the piece to a frantic realism that rivalled the intensity achieved by the best players in Berlioz's Symphonie fantastique. They did not drop the excellent tempo, but even had under control all the sudden twists and both minor and major changes of tempo... He literally pulled the orchestra forward, but one could feel that the musicians acutely felt it and went along with him. In the brooding, only somewhat liberating and then gradually lightening contrast of the conclusion, the conductor was exemplary in spurring on the string section and wonderfully slowing down the whole system... A work of genius. The best came last. Apparently Alexander Liebreich was conducting Janáček's Taras Bulba for the first time. The insight into the score that he achieved in the case of this eccentric Moravian composer is admirable – unburdened by tradition, intuitively but at the same time evidently also consciously and deliberately precisely finding and figuratively naming the essence of his music. Under the leadership he clearly imprinted on the course of the evening, the radio symphony players performed a symphonic rhapsody in all three parts clearly, with enormous empathy and seen through new eyes. The silences, accents, long completions of phrases, the merely gradual, drawn-out intensifications, the clearly prominent solos, this all helped create a poetics that interprets Janáček as more romantic and not just abruptly. But this more lyrical approach does not in any way silence the hidden dramaticism, which suddenly, only sometimes, but all the more sharply, rises to the surface. The second part received an impressive intensification, while the third part was even more epic still. The acceleration and slowing, the long general pauses at accentuated places, all this with many other details, often revelatory, made a stunning image of the third part in particular – the Prophecy and the death of Taras Bulba. It was increasingly evident that Alexander Liebreich was calling upon the colourful, almost operatic interpretation of the piece; it was also increasingly apparent that he does not oppose an underpinning of period affinity for the music of Richard Strauss. The conductor intensified the intoxicating music at the culmination of the composition with its characteristic chordal connections and sound of the organ and bells three times, compellingly and yet soberly, with unique and precise timing of the final bars, and thus surprisingly novel. I would like to hear it just like this again, is what occurs to you. To be a foreigner, a newcomer, and yet to present Janáček's music in his own homeland so as to elicit respect, appreciation and amazement – that is another, even greater work of genius. 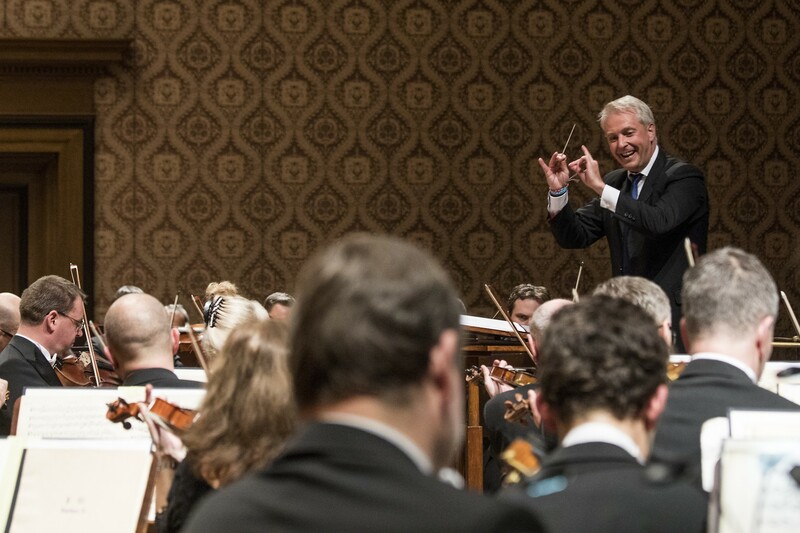 The Prague Radio Symphony Orchestra, it would seem, has made a fortunate choice for its conducting ranks in his case. 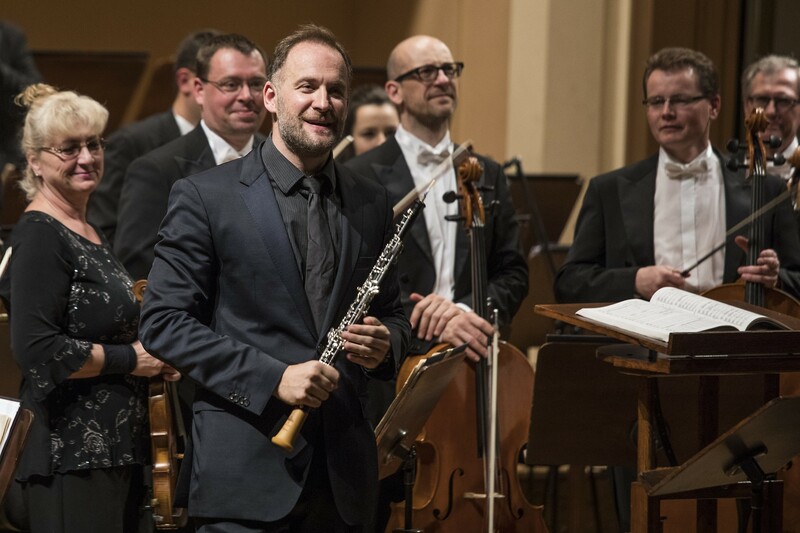 The inaugural concert indicates that the ensemble could make a clear move forward and that with this lead conductor we spectators could be in for some truly rare encounters with music, beautiful concerts and extraordinary experiences.